The festival of Holi which was originally known as Holika marks the victory of good over evil. 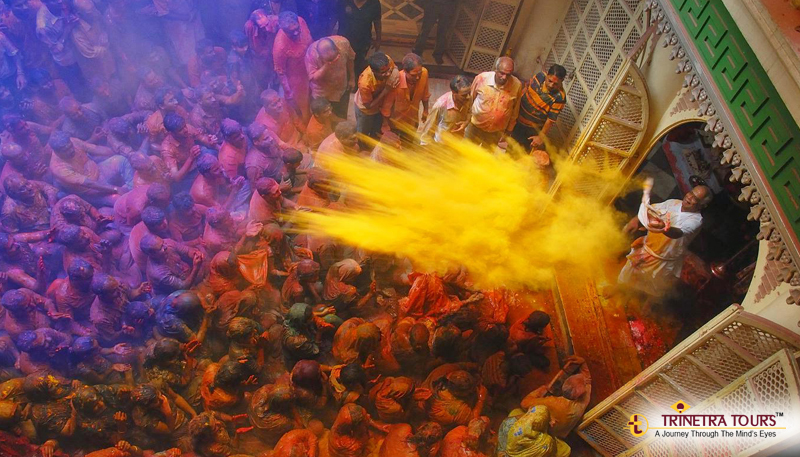 Every year on Falgun Purnima (Full Moon Day) this festival of colors is celebrated by Hindus all over the world. The festival of Holi is a celebration of the upcoming season of spring and prayers are offered to Gods for abundance and happiness of all.The two- day festivity begins with a bonfire – traditionally known as ‘Holika Dehan’. The celebration is incomplete without the mention of colors as it is also referred to as the festival of colors.The day after the Holika Dahan, People splash color on each other and share sweets to mark the occasion and celebrate their relationships with each other. Holi is associated with Lord Krishna, who enjoyed playing pranks with gopis (young girls) as the legend says. In India, different states celebrate Holi in their own unique manner but what remains constant throughout is the theme of peaceful coexistence for all. In Mathura, Uttar Pradesh, it is known as Lathmar Holi where women hit men with lathis (sticks) to recreate a legend which claims that Lord Krishna came to meet Radha at her native village and he teased Radha as well as her friends who in response beat Krishna with sticks. 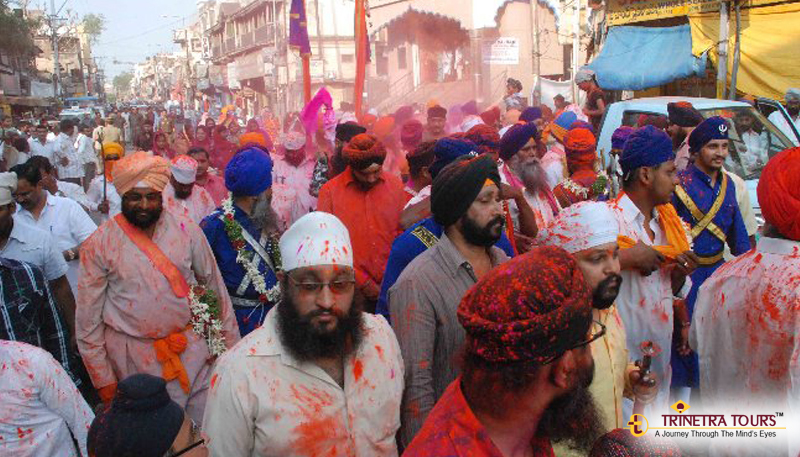 Another variation of Holi Celebration is Holla Mohalla at Anandpur Sahib in Punjab. Holla Mohalla is an event when Sikhs showcase their battle skills. A relatively new version of Holi in Indian cities is rain dance where the young generation indulge in dancing activities on Bollywood music, they enjoy and spend their day with full excitement and happiness. 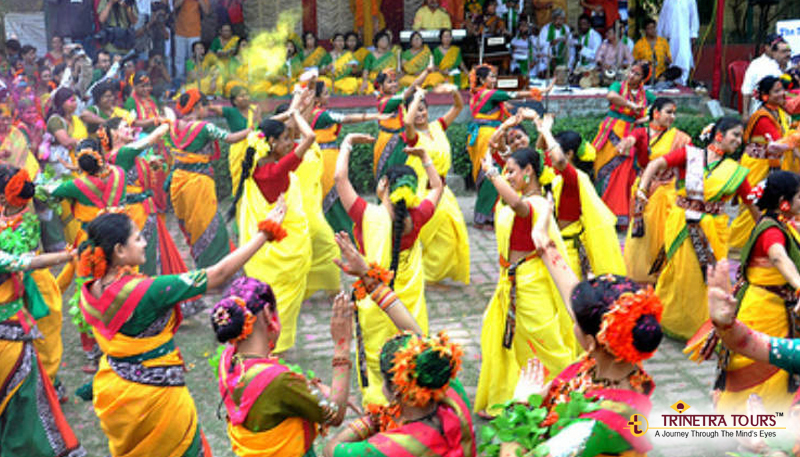 Earlier the festival was celebrated with herbal colors made from flowers and leaves. These colors were supposed to moisturize and heal the skin damaged from dryness in winter.A special sweet on Holi is a deep fried ‘Gujia’ which is stuffed with coconut powder, dry fruits & sugar. Bhaang – a drink made from cannabis tree is also a special attraction of this festival. 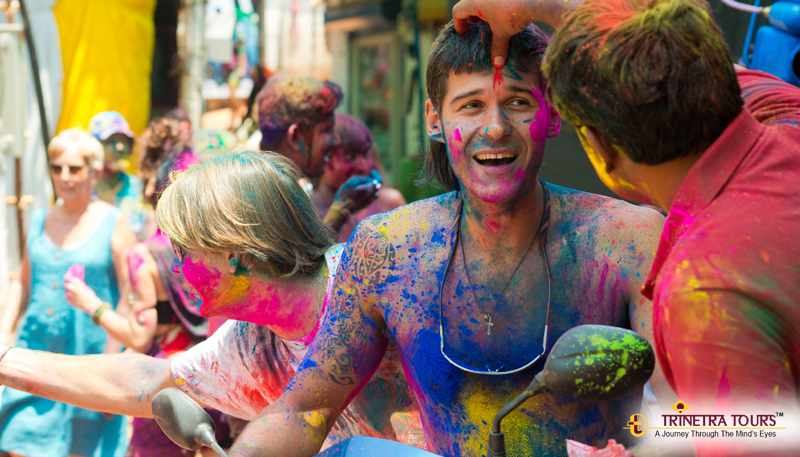 Holi is always a great fun as in the end of the celebrations you’ll be drenched in color and water. If you’re conscious about your skin & hair, it is advisable to generously oil your hair & moisturize your skin so that artificial colors don’t cause you any damage.